Because there are only a few effective ways to prevent or treat liver cancer at this time, there is always a great deal of research going on in the area of liver cancer. Scientists are looking for causes and ways to prevent liver cancer, and doctors are working to improve treatments. The most effective way to reduce the worldwide burden of liver cancer is to prevent it from happening in the first place. Some scientists believe that vaccinations and improved treatments for hepatitis could prevent about half of liver cancer cases worldwide. Researchers are studying ways to prevent or treat hepatitis infections before they cause liver cancers. Research into developing a vaccine to prevent hepatitis C is ongoing. Progress is also being made in treating chronic hepatitis. 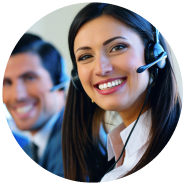 Radiofrequency hyperthermic tumor ablation (RFA) is used to treat liver cancer, as well as tumors that have spread to the liver from another part of the body, such as the breast, colon or lung. This procedure uses high-frequency electric current to heat and destroy the cancer cells. During the procedure, a surgeon inserts a thin, needle-like probe through the skin and into the tumor, guiding it into place with ultrasound or CT scans. Electrical energy is then passed through the tip of the probe, which heats and “melts away” cancerous liver tumors. Radiofrequency ablation therapy carries the lowest risk compared to other cancer cell ablation techniques. Radiofrequency ablation therapy has become a major treatment method for small tumors. This technique may offer faster, more targeted liver cancer treatment with fewer side effects and shorter hospital stays compared with standard therapies. Newer techniques are being developed to make both partial hepatectomy and liver transplants safer and more effective. An active area of research uses adjuvant therapies – treatments given right after surgery – to try to reduce the chances that the cancer will return. Most of the studies so far using chemotherapy or chemoembolization after surgery have not shown that they help people live longer. Some promising results have also been seen with radioembolization, but these need to be confirmed in larger studies. Doctors are also studying ways to make more liver cancers resectable by trying to shrink them before surgery. Studies are now looking at different types of neoadjuvant therapies (therapies given before surgery), including targeted therapy, chemotherapy, ablation, embolization, and radiation therapy. Early results have been promising but have only looked at small numbers of patients. In laparoscopic surgery, several small incisions are made in the abdomen, and special long, thin surgical instruments are inserted to view and cut out the diseased portion of the liver. It does not require a large incision in the abdomen, which means there is less blood loss, less pain after surgery, and a quicker recovery. 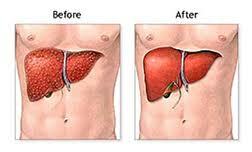 At this time, laparoscopic surgery is still considered experimental for liver cancer. It is being studied mainly in patients with small tumors in certain parts of the liver that can be easily reached through the laparoscope. When it is available, a liver transplant may be the best option for some people with small liver cancers. At this time, liver transplants are reserved for those with small tumors (either 1 tumor smaller than 5 cm across or 2 to 3 tumors no larger than 3 cm) that have not invaded nearby blood vessels. In most cases, transplant is used for tumors that cannot be totally removed, either because of the location of the tumors or because the liver is too diseased for the patient to withstand removing part of it. A major problem for patients needing a transplant is the lack of an available liver. Even for people who are eligible, there can be a long wait before a liver becomes available. Doctors are looking at using other treatments, such as ablation, to help keep the cancer in check until a new liver is available. New drugs are being developed that work differently from standard chemotherapy drugs. These newer drugs target specific parts of cancer cells or their surrounding environments. Tumor blood vessels are the target of several newer drugs. Liver tumors need new blood vessels to grow beyond a certain size. 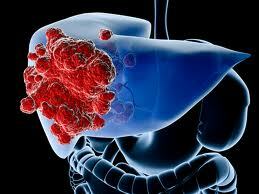 Another potential method of treating liver cancer is radiation therapy . The radiation comes in the form of high energy x-rays that are delivered to the patient only in the areas at highest risk for cancer. These x-rays are similar to those used for diagnostic x-rays, only of a much high energy. The high energy of x-rays in radiation therapy results in damage to the DNA of cells. Because cancer cells are not as good as normal, healthy cell at repairing DNA damage, radiation results in relatively more damage to the cancer cells than to normal cells.